While President Trump's order sending National Guard to address a "crisis" to the border has garnered national attention, those living in the Rio Grande Valley see a gap between perception and reality. HIDALGO, Texas – Ron and Janella Frankl Reicks had just finished an early steak dinner when they stepped outside of their home here and chuckled about snow falling back in their native Iowa while they enjoyed 80-degree weather in Texas' Rio Grande Valley. Hours earlier in nearby Abram, Elia Villarreal was dispensing advice outside her shuttered convenience store on Military Highway on how to maintain a healthy lifestyle, a practice she credits with letting her reach the age of 80 despite having only one kidney. And around the same time, Max Muñoz was sorting through papers and attending to his duties at Mission’s renowned National Butterfly Center as he answered the same questions about border security he’s heard for the past four years. It was, in other words, an ordinary weekday for these Hidalgo County residents who have grown accustomed to periodic bursts in law enforcement presence and haven't noticed President Donald Trump's latest deployment interrupting their day-to-day lives. 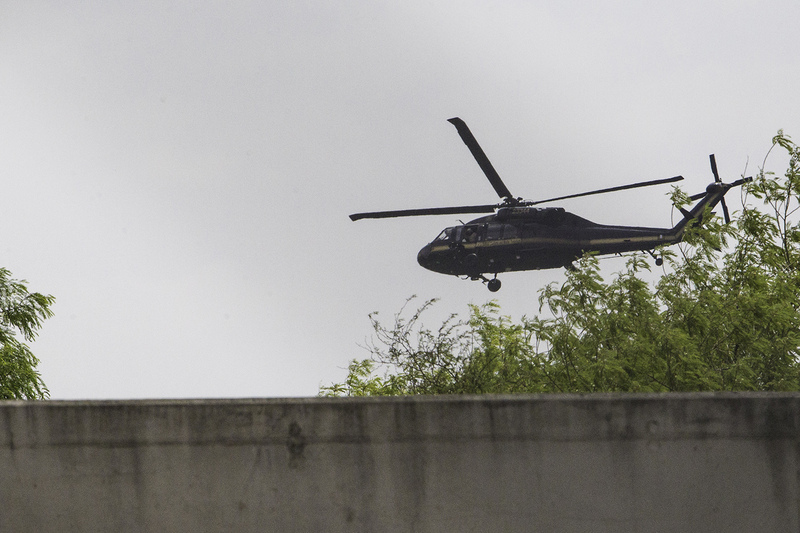 “We have never seen them, other than the helicopter,” Ron Frankl Reicks said. 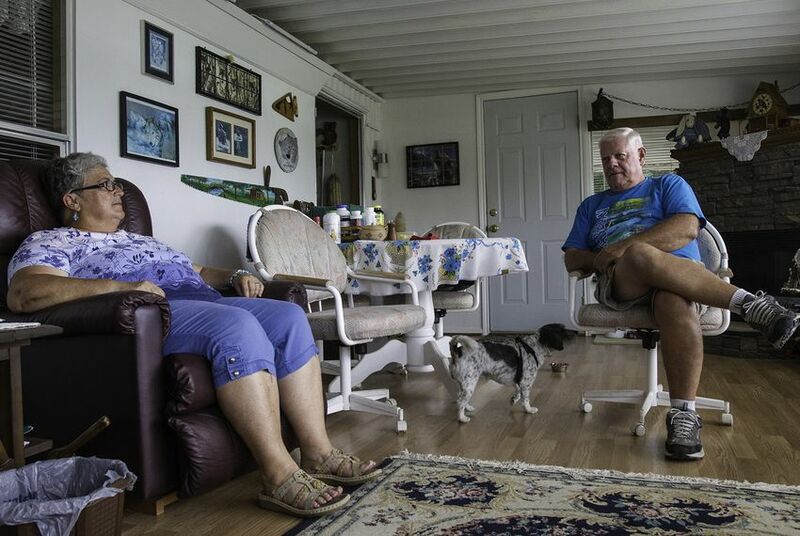 “That’s the only thing we’ve seen in terms of presence.” The Frankl Reicks have lived in the Rio Grande Valley for more than two decades and have called the Lake Texano RV and MH Resort, which sits just blocks from the Rio Grande, home for the past four years. That was when the Guard was deployed to the area by former Gov. Rick Perry. Gov. Greg Abbott kept some of the units in place after taking office and earlier this month quickly responded to Trump’s request to beef up that number. As of April 12, the count was at 762 and is set to gradually increase to at least 1,400, according to the state's Legislative Budget Board. “On behalf of the men and women of the Rio Grande Valley Sector, we look forward to coordinating efforts, the green and the guard, to ensure the safety of our communities and the United States of America,” Chief Patrol Agent Manuel Padilla, Jr. said Thursday after welcoming some of the troops to the Rio Grande Valley. Trump said the mobilization is necessary due to a “crisis” at the border after a spike in unauthorized crossings last month. Despite that double-digit increase however, overall crossings are trending downward, according to U.S. Customs and Border Protection statistics. That – and the relative safety of the borderlands in general – has led some to criticize the recent deployment as something that will unnecessarily stain the area’s reputation. Muñoz said he’s already fielded calls from people in Chicago and Canada who, based on the news, are expecting if they visit to see armed soldiers pointing their weapons at anything that moves as they stand post on the banks of the river. The reality on the river, he said, is that butterfly and bird watchers come to the Rio Grande Valley from all across the continent and avoid experiences like that. Muñoz isn’t what proponents of more border security might criticize as an “open borders” advocate. He said that Border Patrol is always nearby and credits that to helping keep the area calm and attractive for visitors. But the larger public will only believe that, he said, if more people come to the area and see for themselves, and he worries the latest National Guard deployment will put a dent in those efforts. The Frankl Reicks also tip their hats to the efforts the government is making to secure the borders. But they say some of the policies, like the latest National Guard deployment, are misguided. Janella Frankl Reicks also questioned whether Trump's move is counterproductive. “The people across [the border] are really smart, and they’re really watching and they know what’s going on,” she said. Others like Villarreal, who’s lived in Hidalgo County all her life, welcome the Guard and don't concern themselves too much with the politics of it all. Upriver in Roma, a Starr County city that Border Patrol has for years considered a smugglers' paradise because it lacks a fence and federal agents there are understaffed, Ruperto Escobar takes the issue personally. Escobar lives in tiny Escobares, named after his family who he says has had a presence in the area since the 1760s. During the last deployment, he said, the Texas Rangers asked him to sign a document allowing the National Guard to operate on his land, which includes 75 acres of river front property. He hasn’t been approached this time, but he said he’s ready and willing to allow that same access once more. He said people north of the border don’t appreciate what people living on the border must tolerate. Though they might not agree on the effectiveness or wisdom of the latest deployment, Escobar and the Frankl Reicks agree that circumstances in Mexico and other countries will continue to drive migration, more than the number of Guard troops at the member. And they are sympathetic to the plight. Escobar said the situation is heartbreaking but that he has to take care of his own first.